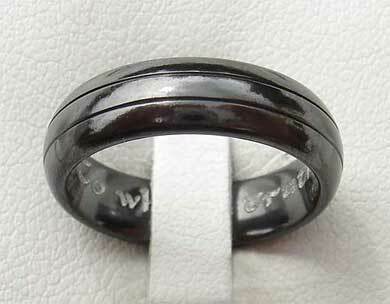 Men's Wide Black Wedding Ring : LOVE2HAVE in the UK! 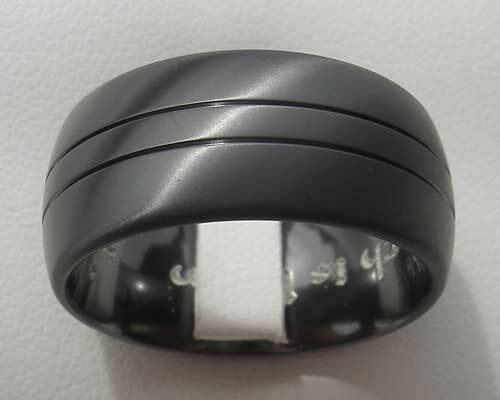 This men's wedding ring is a black domed zirconium ring with two grooves and available in widths ranging from 5mm all the way up to 12mm. We have the 10mm photographed, and because of all the different widths you can choose from, not only does this model make an excellent choice for men but women too. 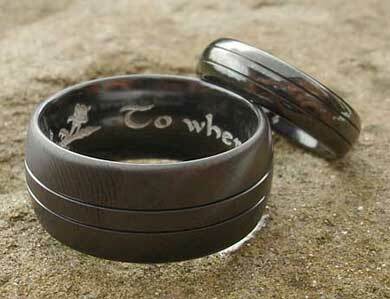 An excellent alternative wedding ring choice for matching ring sets for both him and her. It also comes in a choice of either a polished or a satin finish. As indicated above the wider versions of this ring make great wedding rings for men and for men who are looking for something more unusual and have alternative tastes in jewellery. With value for money being a critical issue when buying your wedding rings these are modern styles that you can afford.